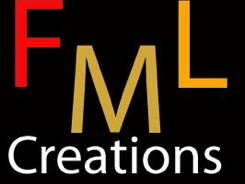 The objective of FML Creations is to design easy to use and simple applications for the iPhone, iPod Touch and iPad. Each application should be either fun, lifestyle or solve a unique problem. Face Buttons is the first iPhone app created by FML Creations / FA-Soft. With face buttons you can easily create direct call photo icon on your iPhone home screen. For further information, support and Q&A please go to the Face Buttons support (link below). This is the latest app created by FML creations. iPendler is all about public transport in Switzerland. It is a GPS alarm clock together with an intelligent search functions to find train, bus and tram stations. For further information, support and Q&A please go to the iPendler Swiss support site below. Your biggest love is only one finger tip away! Tip on the heart and you get connected with your love. Simple and fast. Enter once the contact details of your biggest love or the most important person and call him/her or write SMS with only one fingertip! Use your iPhone as a metal detector! Detect metal objects with your iPhone. It is fun and super easy to use. Explore your surroundings. Surprise your friends. Feel yourself like a detective. A little practical mirror in your pocket! Use your iPhone 4 as a pocket mirror!